If you are the proud owner of a great car, you should consider yourself lucky. This is because you no longer have to depend on public transport to get you around the place and can freely travel around as you please. However, the problem arises when your car begins to give up the ghost and is broken down or requires costly repairs. This is likely the perfect time to think about selling to a Subaru wreckers company in Auckland like Cash My Car and buying something new. You might not have any idea about how this actually works and it may seem like a daunting decision. But with Cash My Car we make the entire process simple and hassle-free. We do all the hard work for you, from providing a competitive market valuation, to sorting out all the paperwork and even collecting your wrecked Subaru for free. Gone are the days when you would find yourself having to navigate your way to car wreckers to try and find a good deal for yourself. This is because of the internet you can now simply get quotes and do all your research from the comfort of your own home. 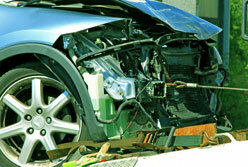 All you have to do is search for a wrecker that specialises in the vehicle you are wanting to get rid of and then get them to provide a quote over the phone or via email and you can have the cash for your car in your hands the same day. Cash My Car is the best Subaru wrecker in Auckland and we are able to provide the best service and competitive prices due to the large buyer network we supply parts to. We can provide a cash price instantly and in most instances remove your car and take it off you so it’s no longer your problem within just hours not days or weeks. You don’t have to muck around trying to list it on Trade Me or post ads that simply take up your time and money. In the end, you might not even find a suitable buyer or get the price you deserve. We want your car and we are willing to pay a great price for it. Based on the rules which were introduced way back in 2005, proper Subaru removal requires that your car is scrapped in the proper way at a yard that is licensed and properly authorised to do so. This license is issued by the government and ensures you can trust Cash My Car to dismantle and recycle your vehicle in the proper way without causing harm to the environment. Get cash for your Subaru now! Cash My Car is the largest Subaru dealer in Auckland. As we are the wrecking company and do all the dismantling ourselves so don’t resell your vehicle or scrap car onto other Subaru wreckers. 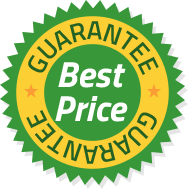 This means we can guarantee you get a premium cash price for your car. You get more cash and a better service, guaranteed! 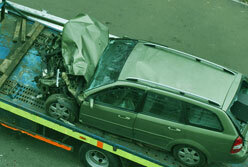 We have multiple tow trucks running in the Auckland region and provide a free Subaru collection service. We can pick up your car on the same day you get in touch. We don’t just buy certain types of Subarus. Because of our large retail buyer network, we pay top cash prices for all Subaru models. Car damaged and not insured, or would repairs cost more than the car is worth? 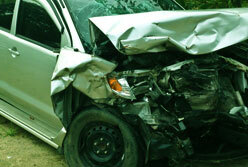 We will pay the best cash for cars price for your wrecked Subaru, it couldn’t be easier! If your Subaru vehicle has been written off or doesn’t run anymore or is in pieces don’t throw it away. You might be surprised at how much it’s actually worth!